Zimbabwe’s school teachers were Tuesday alleging intimidation as they tried to launch a nationwide strike for better salaries. “Some teachers are in class but there is no meaningful teaching going on,” Richard Gundane president of the Zimbabwe Teachers Association (ZIMTA) told Reuters. Some urban teachers claimed that riot police were guarding classrooms, while public service inspectors moved around and marking attendance registers for teachers. Some rural teachers said ruling Zanu-PF party activists set up camps at their schools in what were seen as acts of intimidation. Secretary-general of the Progressive Teachers Union of Zimbabwe, Raymond Majongwe, confirmed receiving reports of intimidation. “Stay home, be safe. Don’t be intimidated by police and CIOs (Central Intelligence Organisation),” ZIMTA said in a circular to members. Reuters reported that in schools near central Harare, most teachers appeared to have turned up for work, but some were not conducting lessons in adherence with the strike, witnesses said. In Bulawayo the Centre for Innovation and Technology, reported that teachers at several schools in the country’s second biggest city did not turn up for work and parents had to collect their children. Teachers say their current average monthly salary of $100 is too low to make ends meet. The price of bread went up by about 70 percent this week, while Zimbabwe’s inflation is at its highest in a decade. The government says it cannot meet the salary demands. 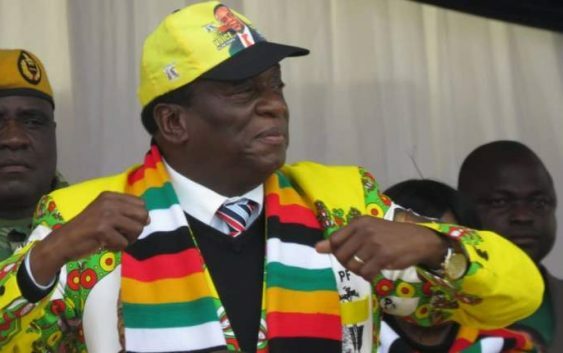 Zimbabwe is struggling with an economic crisis marked by cash shortages and rising prices of basic goods after President Emmerson Mnangagwa hiked fuel costs 150 percent last month. That brought demonstrations and looting, plus a brutal response from security agents, which rights groups say left 12 people dead. Police put the figure at three.